Steglatro is a drug which is competitor of sodium glucose co transporter 2. It is indicated for diabetes mellitus type 2. Its generic name is ertugliflozin. Steglatro can be administered as a single drug therapy or can be used in combination with DPP 4 inhibitor drug named sitagliptin or with metformin. American diabetes association stated that steglatro can cause significant reduction in glycated hemoglobin. When steglatro and sitagliptin are combined in a fixed dose combination it is known as steglujan. Steglatro is administered as an adjunct to exercise and diet in patients with diabetes mellitus type 2 in order to control glucose level. If treatment with steglujan is appropriate, then it can be used as an adjunct to diet and exercise. Steglatro and steglujan are contraindicated in patients with diabetes mellitus type 1 and in patients with diabetic ketoacidosis. Fixed dose combination of steglatro i.e. steglujan is not prescribed to patients with pancreatitis history because it can increase chances of pancreatitis in diabetic patients. It is also strictly contraindicated in patients with hypersensitivity reaction history towards sitagliptin. Both steglatro and steglujan are contraindicated in patients with severe renal failure or in patients with end stage renal disease or on dialysis. Steglatro is a selective sodium glucose transporter 2 inhibitor. It is a competitive drug to other inhibitor drugs. When steglatro inhibit sodium glucose transporter 2, it decreases the threshold of renal glucose. I.e. glucose concentration in plasma. Increases the glucose reabsorption capacity of kidney. When there will be decrease in renal glucose threshold, ultimately glucose excretion through urine will increase. Steglatro can show peak level in plasma within one hour of administration in fasting state and 2 hours in fed state. It shows 93.6 % protein binding in plasma during distribution phase. Metabolism is minimum. It is available in the form of tablet (5 mg and 15 mg). as it is indicated as an adjunct to diet and exercise, so its starting dose is 5 mg PO per day in morning. If this dosage concentration is not enough and require further glycemic control then, dosage concentration may increase up to 15 mg per day. 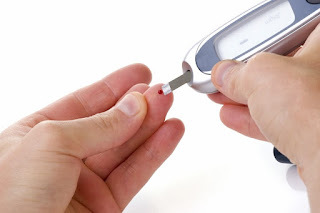 There are some precautions which should be followed like, it is prohibited in combination with high dose insulin and insulin secretagogues because it increases chances of hypoglycemia. Lower dose of insulin or insulin secretagogues can be administered to reduce chances of hypoglycemia. There may be volume depletion adverse effects. Adverse effects related to kidney are also increased. Patient got decrease in weight and feel thirst most of the time. Mycotic infections may occur in male and female genitalia. Urinary tract infections are commonly seen due to its clearance through kidney. Vaginal pruritus, Nasopharyngitis and pain in back side are also reported side effects. Steglatro cost is difficult to evaluate at the moment as according to market survey this drug is currently not available at retail pharmacies because it is recently approved by FDA and is under manufacturing process. Once, it will be available at retail outlets we will let you know about the unit cost of drug and its dosage frequency.